Horse Work ™ is a perfect match for school systems. The ABC’s of Designing School Programs is the first volume in a series of “how to” books that will grow and contribute to the sustainability of your equine business. 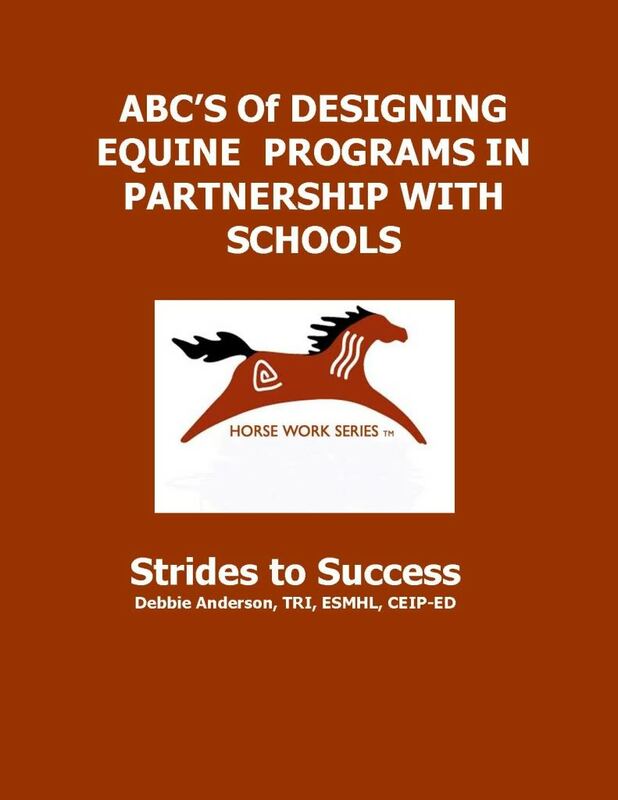 The ABC’S of Designing School Programs is a step by step manual that includes techniques, materials and samples and will guide you through the process of introducing your equine programs to school decision makers. This manual will teach you who to approach, what to say, how to price and connect your programs to funding sources and how to evaluate student progress. Even in these tough economic times, the schools do have funding that can support your programs if you can help them understand how your program can be attached to appropriate funding sources and needs. This is a proven process that many centers have utilized to develop sustainable income. • Identifying and assessing the schools needs • How to make your center a valuable resource for schools • Contacting and approaching key decision makers • Finding common ground between the barn and the schools • Designing pilot programs • Evaluations & rubrics • Education terminology • Contracts & funding school programs.